Koyasan is the closest the modern tourist will come to experiencing the true Japan… or at least, the true Japan as it relates to Buddhism. Koyasan is the home of Shingon Buddhism. 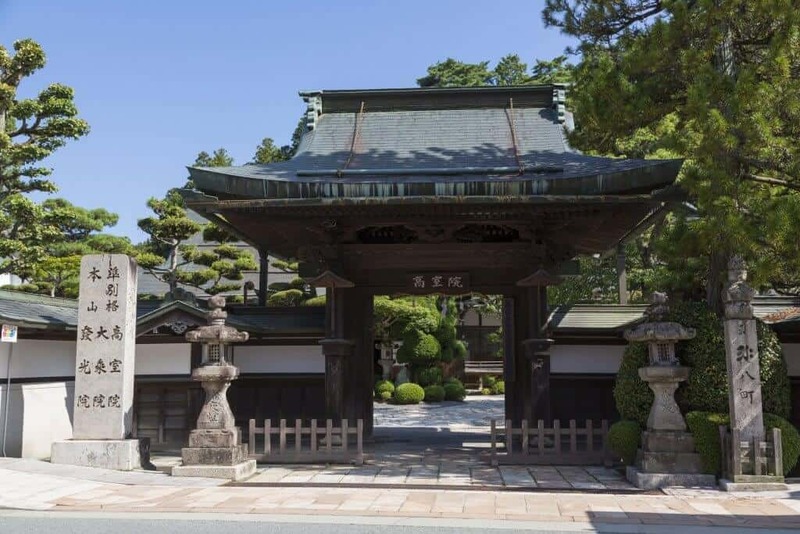 Founded by the monk Kukai, Shingon has shaped Japanese thought for well over a millennium. Although Koyasan means “Mt. Koya,” there’s no actual mountain. Instead, Koyasan is a central plateau between eight mountain peaks. Kukai chose the location because the circle of mountains look like an open lotus blossom. Koyasan sits in the center. The monks of Koyasan preserve the traditions of Kukai’s time. They do so in an incredible multi-temple complex surrounded by a pristine forest. Koyasan has over 100 temples. Many of them provide lodging and the chance to experience Japan’s monastic past. You can live as a monk, observing temple rituals and eating vegetarian shojin-ryori. You can also explore the beautiful forests. 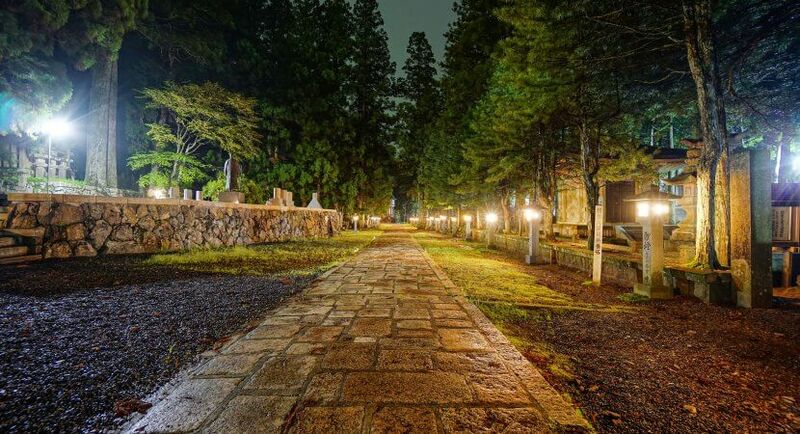 Walk through Japan’s biggest cemetery to pay your respects at Kukai’s mausoleum. Visit the many temples he founded. 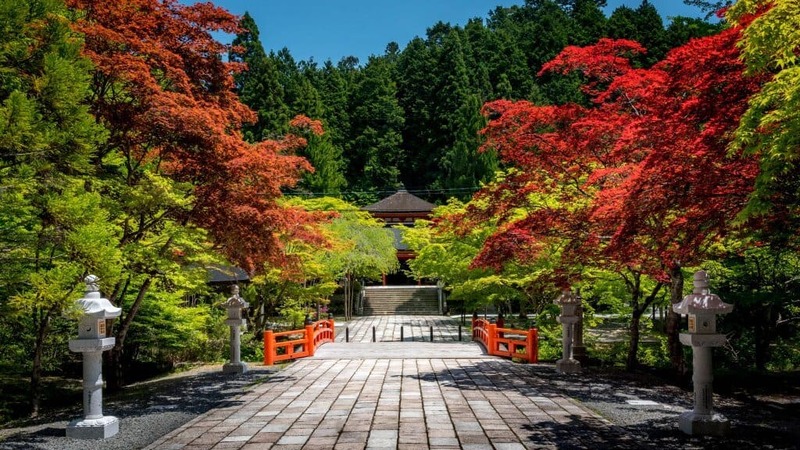 You’ll leave Koyasan refreshed and inspired. You can literally feel the spirit of Koyasan just be being there. You should definitely visit and stay overnight at a temple if you have the time. Staying overnight at Koyasan is an experience you don’t want to miss. It’s been a pilgrimage destination since 819. 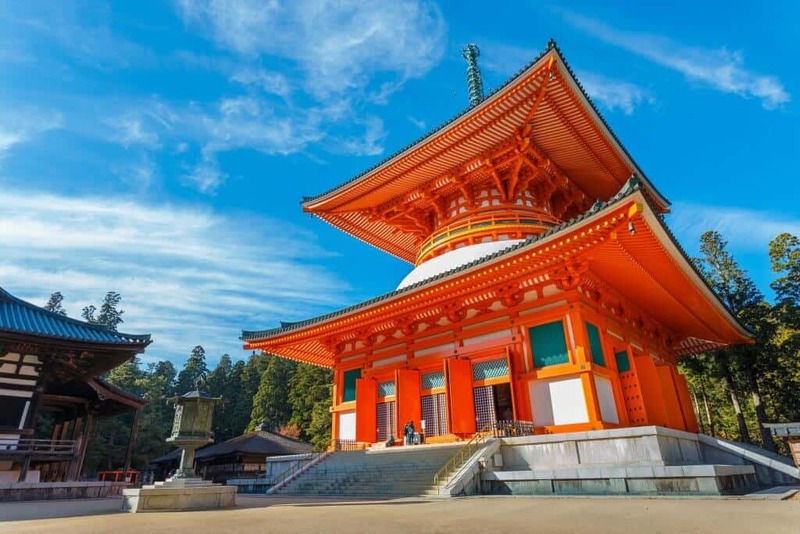 52 of Koyasan’s 120 temples offer stays for pilgrims and casual visitors. A temple stay is a unique chance to experience the monastic life. Staying at a temple is known as shukubo and usually includes two meals per day. You often have a chance to join the monks in an activity. ** Be careful! The temples have strict schedules. There usually is a curfew that you need to follow. The temple routine remains rooted in tradition, yet modern amenities are available. Many temples offer free Wi-Fi, and some have westernized bathrooms. Accommodations vary from temple to temple. 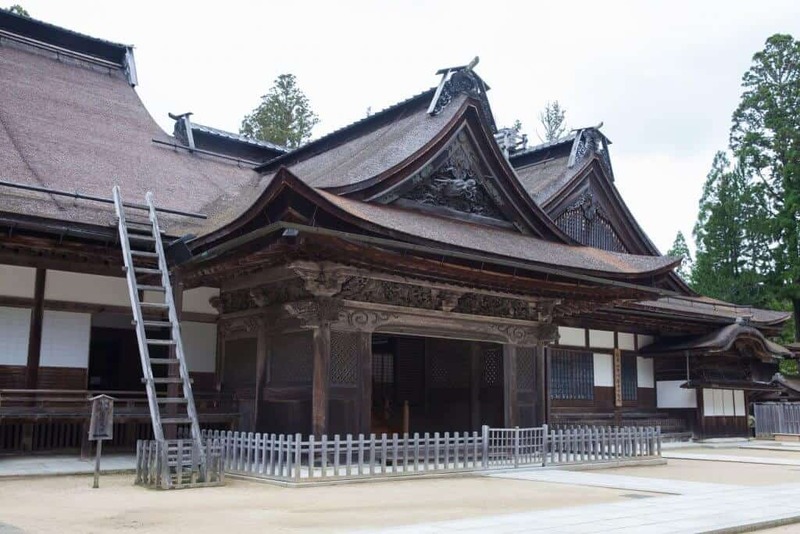 The Koyasan Shukubo Association runs a website about the temples. It includes a list of temples offering shukubo. The site gives basic information and links to the individual temples. All temples offer Otsutome, the morning ceremony. Starting at 6 am, the priests chant sutras. A sutra is an ancient Buddhist writing. English translations are sometimes available, depending on which temple you attend. You have the choice of participating or merely watching. There are other activities for guests, including meditation and hand-copying the sutras. The staff at the Visitor Center can tell you which temple offers what activity. They can also help you arrange accommodations and guided tours. The information center is at the town’s main intersection. 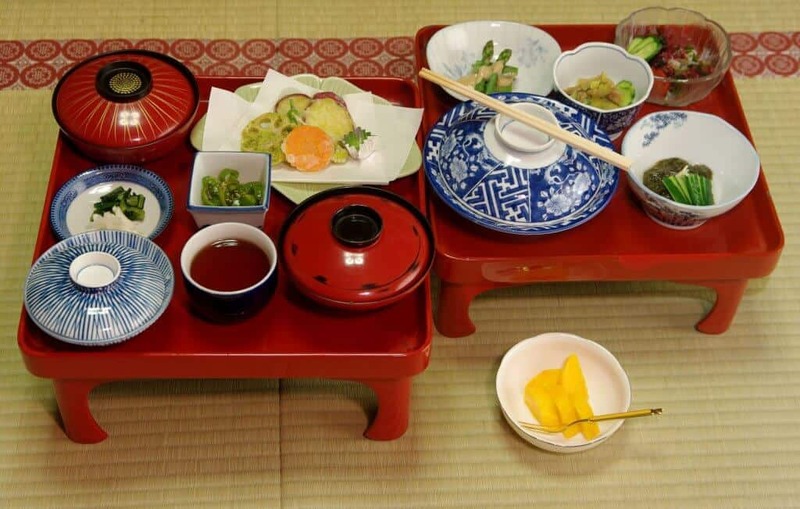 The shojin-ryori (Buddhist cuisine) is another good reason to stay at Koyasan’s temples. The food is vegetarian to the point of excluding onion and garlic. In most cases, it’s vegan, although dairy and eggs somehow sneak into the food now and then. So if you want a pure vegan meal, be sure to ask the staff before you have your meal. Koyasan’s shojin-ryori has a reputation for being amazingly delicious, even to non-vegetarian eaters. It evolved over the centuries to feed the monks. Koyasan is also famous for its goma-dofu, a tofu-like food made from ground sesame seeds. You eat it the same way you eat tofu. It has a subtle, roasted sesame flavor. It’s smooth, rich, and even creamy. It is absolutely delightful. No visitor should leave without paying respects to Kukai, the founder of Koyasan. Kukai, known posthumously as Kobo Daishi, has a beautiful mausoleum. The building sits within a forest of thousand-year-old cedar trees. The cemetery once attracted Japan’s most powerful families. Feudal lords have given way to prominent corporations (and some unusual gravestones). Even so, the cemetery retains a timeless atmosphere. There are two main approaches to Okunoin, both reached by bus. 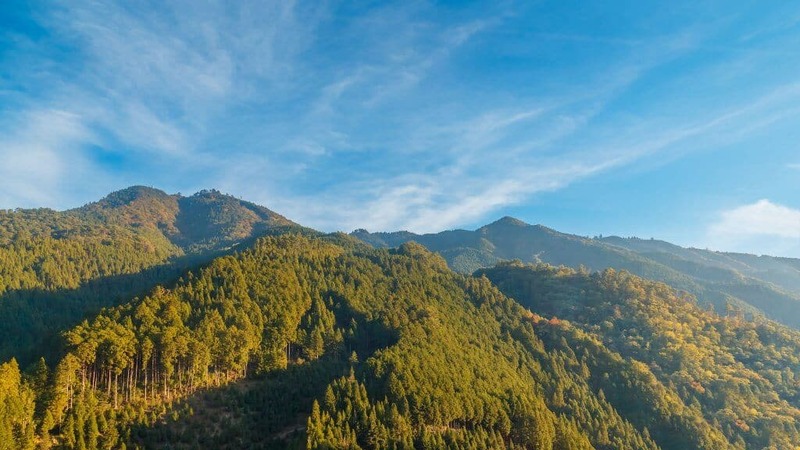 Starting at Ichinohashi gives you a long walk through the cedar forests. You take in the beauty of the forest and the moss-covered monuments. The cedar trees leave you in awe. Moss grows on tree trunks and the surrounding monuments. You can’t read the kanji on many of the markers, but the features of the jizo statues are striking. Jizo statues pop out between roots and in the hollows of tree trunks. You see mountains of weathered statues. Bird songs ring out, and from time to time you hear distant bells as people pay their respects. 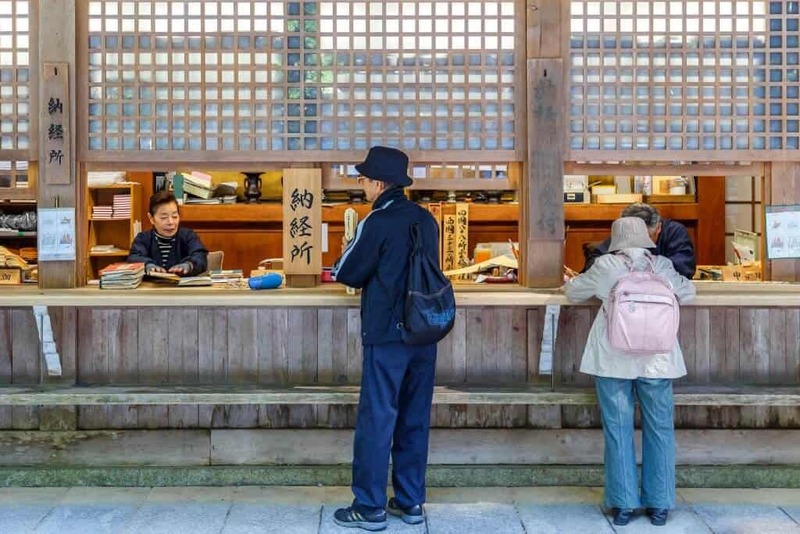 It feels like you’ve traveled back in time, and seeing the true Japan, unobstructed by modern buildings or technology. Here and there you encounter a robed monk on his way to a service. It’s very easy to linger (and lose all track of time) in the beauty of the forest. Taking the bus to Okunoin-mae reduces the walk to a kilometer. The walk starts with the grand entrance leading up to the more modern additions to the cemetery. The corporate tombs are something else. Check out the rocket ship tomb. Marvel at the tomb of the Yakult Corporation. 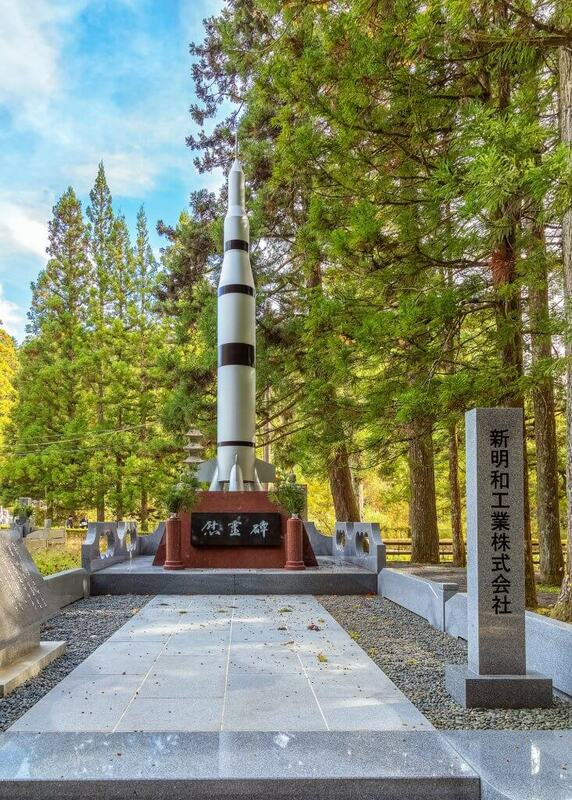 A grave marker in the distinctive shape of a Yakult bottle tops the pink-granite display. Beer manufacturer Kirin also has a tomb here featuring the mythical Kirin — their logo. Is this a sincere wish or clever advertising? Who knows? No matter which path you take, you’ll end up at Gokusho Hall. The mossy walls and simple wooden exterior enchant you. Incense drifts through the air. You have an opportunity to wash your hands. Cleanse yourself spiritually and physically before crossing the bridge. When you cross, you enter the holiest area in Koyasan. Once you cross the bridge, you must put your camera away. You won’t even miss it. Don’t miss the stone revealing the condition of your soul. You’ll find the stone in a small cage. It is said the stone feels lighter to people with good hearts and heavier to people who are bad. The pure of heart can lift the stone with one hand. I tried with both and couldn’t budge the stone an inch — make of that what you will. Compared to the simple beauty of Gokusho, I found Torodo Hall a little gaudy. 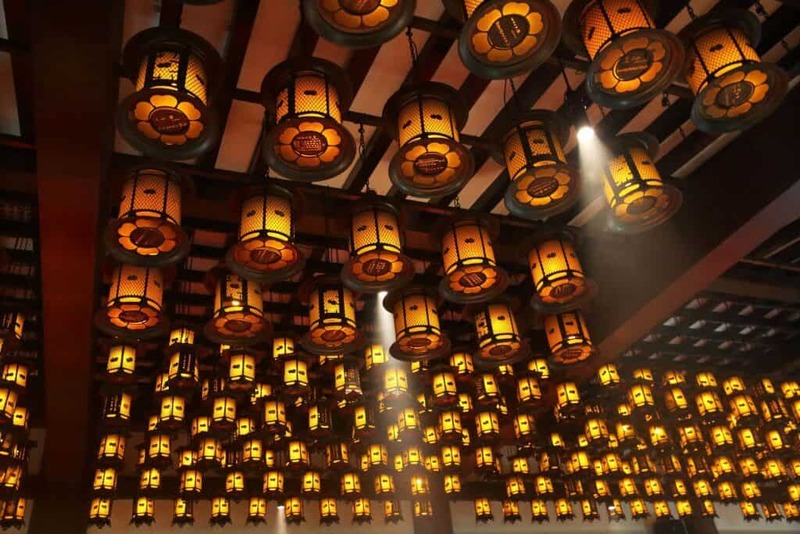 Within the hall, you see 10,000 lamps kept alight in Kukai’s honor. Moving along the set route, you view the mausoleum. Then you head down to the basement, where tens of thousands of tiny statues sit. Devout well-wishers donate the statues. Although Kukai lived well over a thousand years ago, his influence is still felt today. While visiting the mausoleum, I was amazed by the number of people paying their respects. I emerged from the temple and went back into the forest, feeling like I’d gotten a good glimpse of Kukai’s influence on Japan. 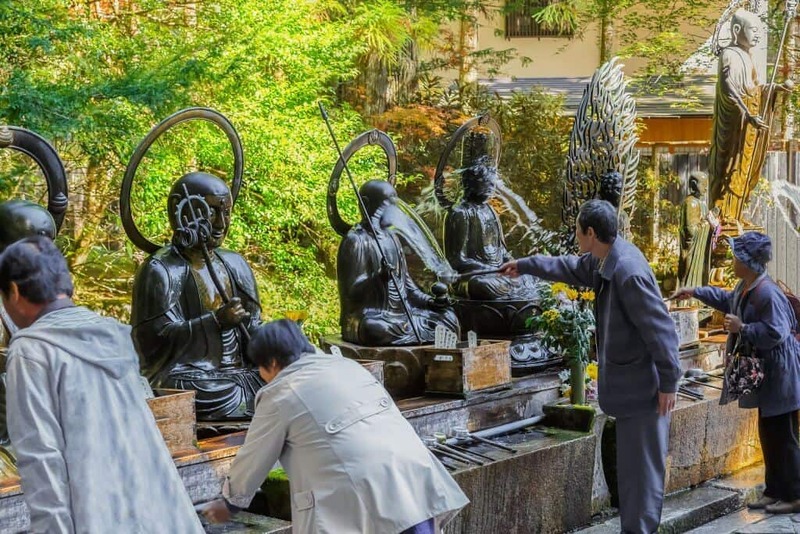 Koyasan is a religious center, so it’s no surprise most of the attractions relate to Buddhism. However, deciding which of the 120 temples best represents Koyasan is hard work! Kukai laid out the plans for Danjo Garan, Koyasan’s central temple complex. These buildings are as much an influence on Shingon Buddhism as Kukai’s teachings. The buildings are used today as they were used in Kukai’s time. Monks gather for services or hold annual ceremonies, no matter how many tourists may gather there… providing the tourists are respectful, of course! Most of the buildings allow photography. Signs tell you which ones don’t. Danjo Garan’s buildings include small wooden storehouses. The storehouse’s beautiful carvings are not augmented by paint. 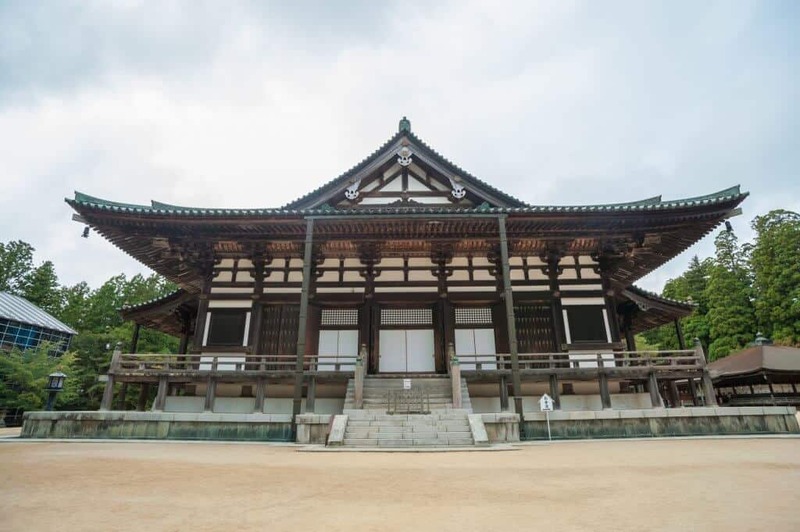 Kukai gave sermons from the Kondo (Golden Hall), but the building he used perished in a fire — not once, but six times. The current building dates from 1932 and remains a major Buddhist hub. Kukai designed the great pagoda, Konpon Daito, to be the centerpiece of Koyasan… and of Japan itself! The pagoda is bigger than most other pagodas, though not necessarily taller. It’s tall enough to have a history of lightning strikes. Fire destroyed the Konpon Daito five times. The current pagoda is partially concrete to protect it from lightning. After Kondo, Kongobu-ji is Koyasan’s best-known temple. Kongobu-ji is the headquarters of Shingon Buddhism. Built in 1593 by warlord Toyotomi Hideyoshi, the temple was rebuilt in 1861 as Seigan-ji. However, in 1869, the temple was renamed to its current name or Kongobu-ji. 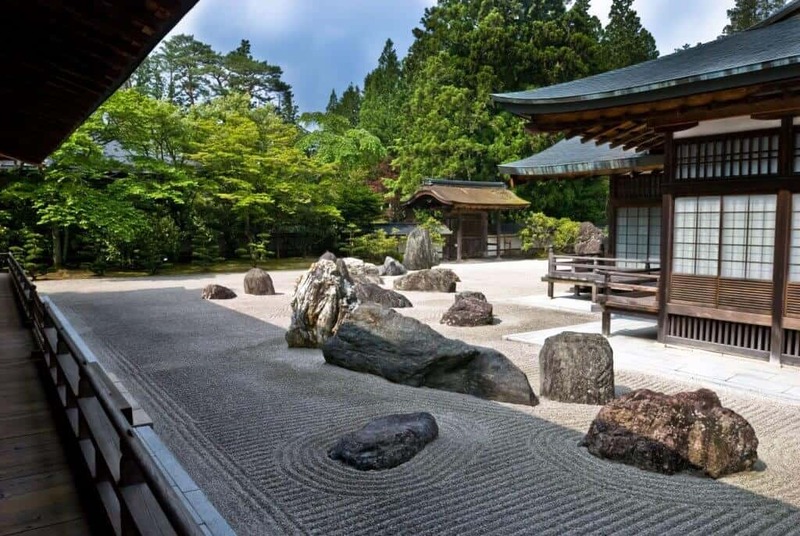 Kongobu-ji Temple contains the biggest rock garden in Japan. The garden equals any of Kyoto’s gardens in beauty. The garden features 140 granite stones, arranged to evoke a pair of dragons. They emerge from mist to guard the temple. Admission includes a cup of green tea and a sweet snack. Take the opportunity to linger and enjoy the garden. Don’t miss the exquisite screen doors painted with cranes by Kano Tanyu and his followers. The tour of Kongobu-ji ends in the temple’s kitchens. Huge stone ovens and immense cast iron bowls stand ready to produce enough rice to feed 2,000 people. You can buy a combination ticket for 2,000 yen. The ticket includes admission to all the major sites. 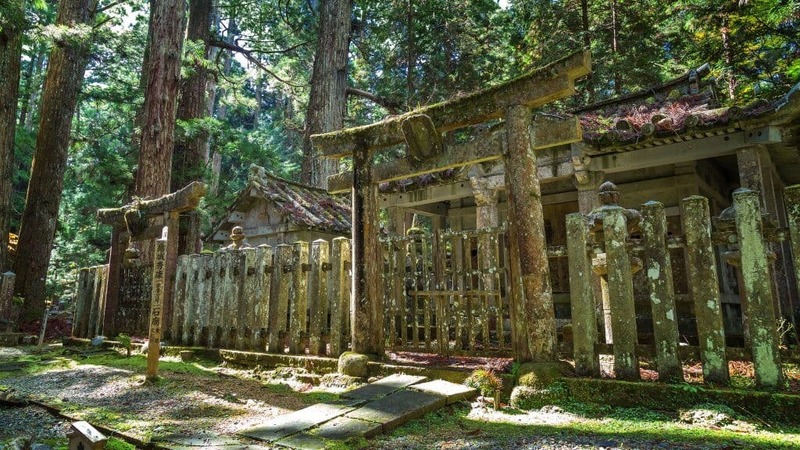 When pilgrims approached Koyasan on foot, the gates were the first thing they saw. 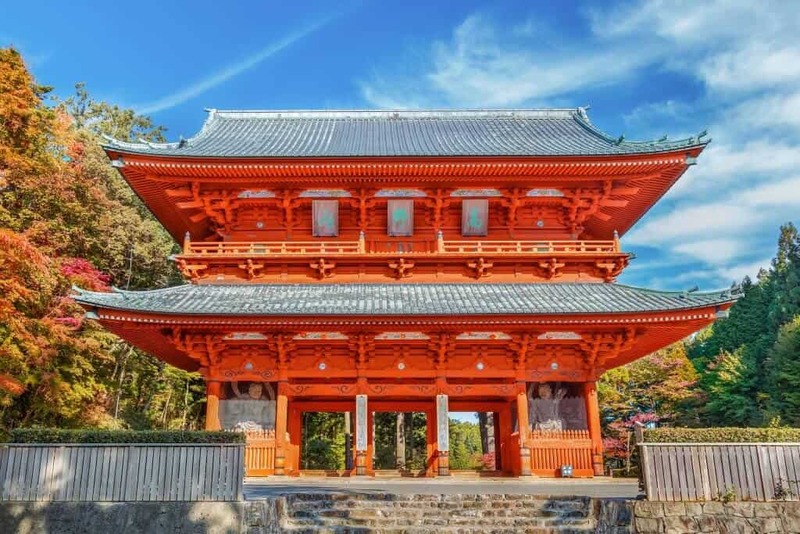 The towering Daimon, The Great Gate, is the biggest and best preserved. Built in 1705 to replace a more traditional tori gate, Daimon is a bus ride away from the Danjo Garan. It’s well worth the extra effort to visit. The gates are significant for another reason. Until 1872, women could not visit Koyasan. Female pilgrims used special prayer sites, called nyonindo, built at the gates. Originally, one nyonindo sat at each of the nine entrances to Koyasan. Today, only one remains. You can find it on the main bus route between the center of Koyasan and the Koyasan Cable Car Station. It’s easy to spot on your arrival or departure. The question is not whether to visit Koyasan, it’s when to go. 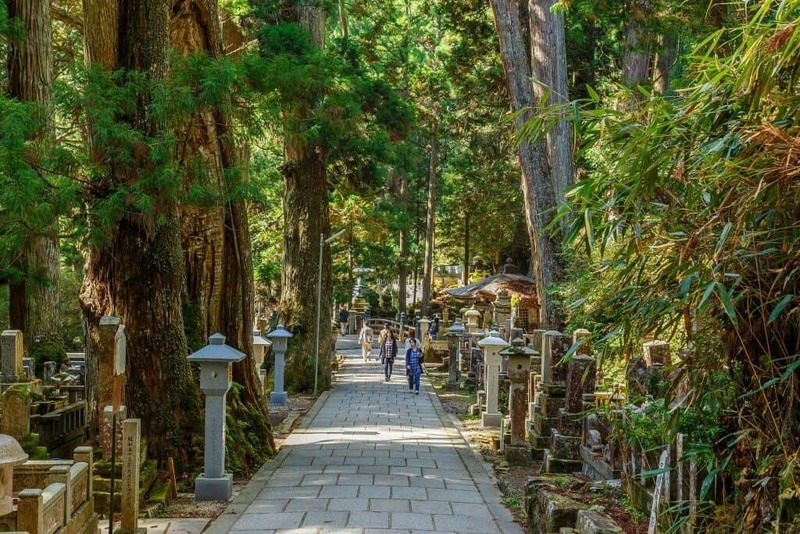 In summer, Koyasan is much cooler than the surrounding Wakayama and Osaka areas. It’s popular with people escaping the heat. Hydrangea season is the peak time for visitors. It runs from early June to mid-July. I visited in August, a few weeks after the hydrangeas fade. I found Koyasan practically deserted. In winter and late autumn/early spring, the cold can catch you by surprise. Pack accordingly. The Koyasan World Heritage Ticket is good for two days. You can buy the ticket at major Nankai railway stations and travel agents. It gets you to and from Koyasan. Travel on buses around Koyasan is included with the ticket. The ticket costs 2,860 yen. 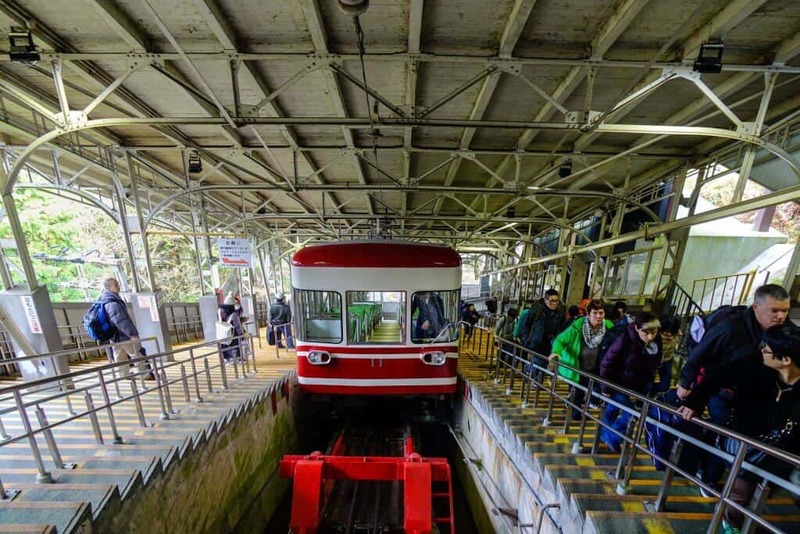 *Keep in mind that the JR rail pass is not vaild for the Koyasan Cable Car. 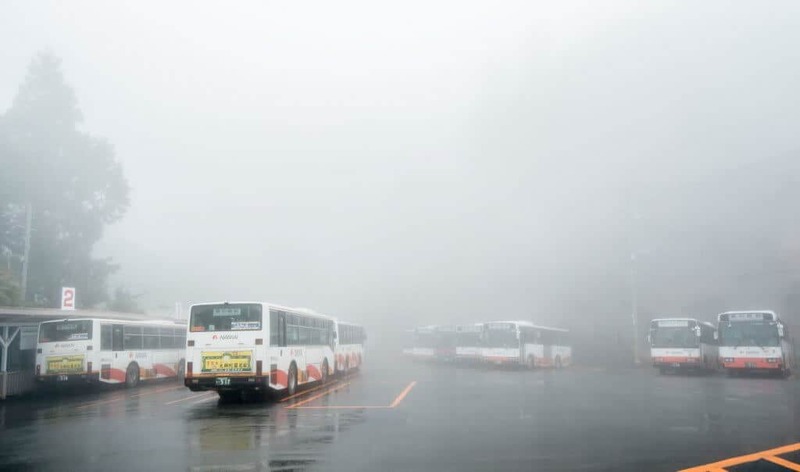 Outside peak season, you don’t need to buy the ticket in advance. I picked mine up at Namba Station about 15 minutes before boarding my train. However, it’s better to get your tickets in advance so you can plan your trip ahead of time and avoid any unplanned setbacks. The 3,400 yen Limited Express ticket includes limited express trains from Namba or Shin-Imamiya to Gokurakubashi Station. It covers the cable car to Koyasan. The ticket also includes free rides on the Nankai buses on Koyasan itself. *Note: You can catch a limited express train from Namba to Gokurakubashi Station, but not the other way around. If you want to catch a limited express train going back to Osaka you’ll need to pay an addition 780 yen to do so. Should You Get the Regular or the Limited Express Ticket? If you’re not in a hurry, the regular ticket offers the same deal (excluding limited express trains) for less. Riding the regular train from Namba takes roughly 100 minutes. It’s about 85 minutes on the limited express. 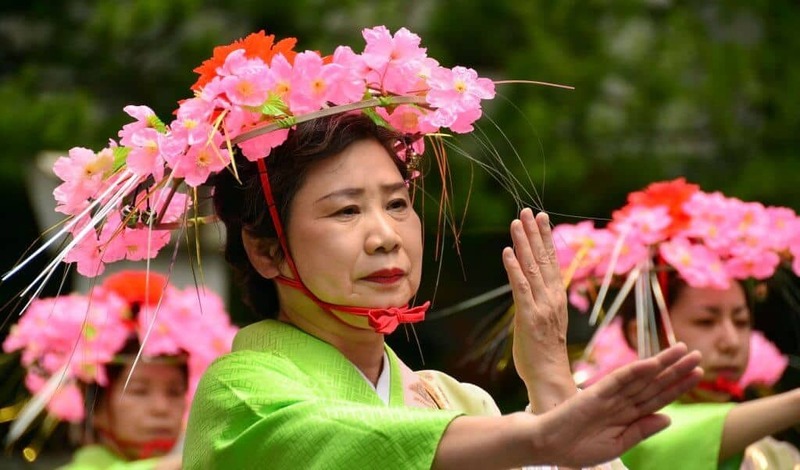 Both tickets give you discounted admission to Koyasan’s bigger attractions. Both provide discounted entry to Kondo, Konpon Daito, and Kongobu-ji. Koyasan is news you should share. Send this article to a friend and let them know about this awesome experience. 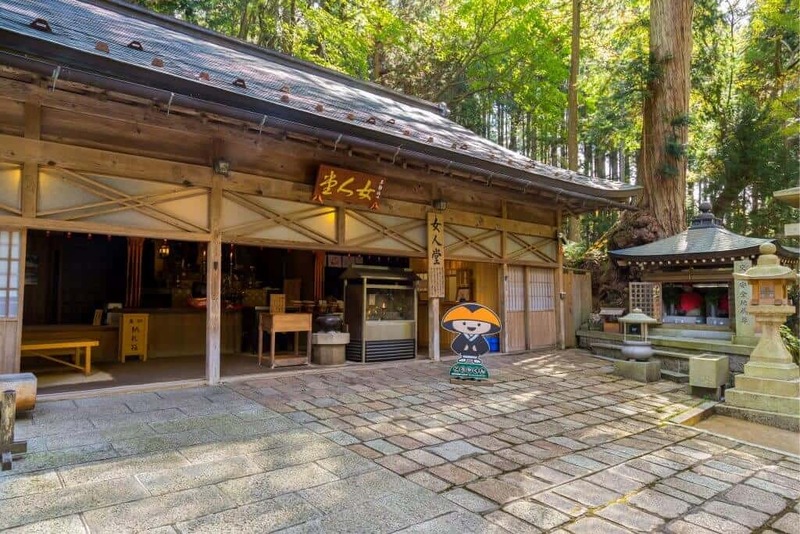 If you’ve visited Koyasan, leave your tips and recommendations in the comments below.